Leaning stools are designed to work as an extension of your body, allowing you to sit-stand while being able to pivot and flex, while responding and supporting every move. When using leaning stools your body assumes a relaxed upright self-supporting posture. This in turn keeps your major muscle groups active, promoting blood circulation and maintain concentration. Leaning stools move as you move. Active Seating solutions from Apres. 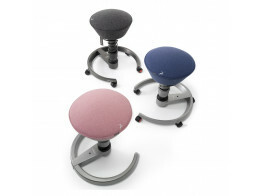 Stitz2 Stool has claimed the iF Product Design Award and Red Dot Award. A leaning stool for professionals. Smile Leaning Stool is height adjustable and ideal for informal meetings and transient sitting. The swoppster children's stool was designed in response to the need for movement at primary school age. Swopper Work Chair is a stool with 3D technology offering sideways motion, height adjustment and works core muscles. 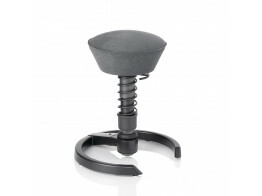 swopper saddle stool with 3D technology offers sideways motion, height adjustment and works your core. 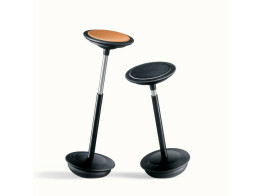 swopper platzhirsch stool with 3D technology offers sideways motion, height adjustment and works your core. 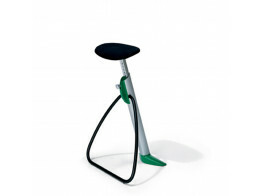 swopper air stool with 3D technology helps keep your muscles, intervertebral discs, tendons and joints fit. 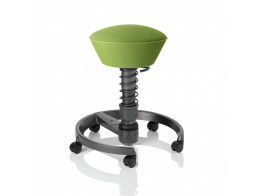 swopper standard stool is a 3D active office swivel chair come stool. It is the entry level version from the series. 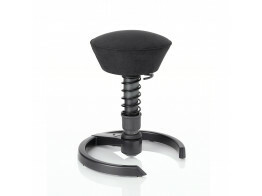 swopper classic stool gives you flexible sideways motion, extends your reach and ensures an optimum sitting posture.